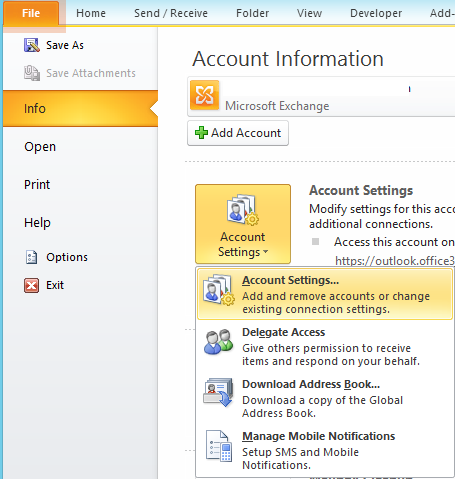 In Outlook 2010 and 2013 you may encounter GogTasks telling you that it cannot write to the currently selected account and that you need to select a different main account. All is well as long as you have a writable one to select, but what if you don't? See illustration below. 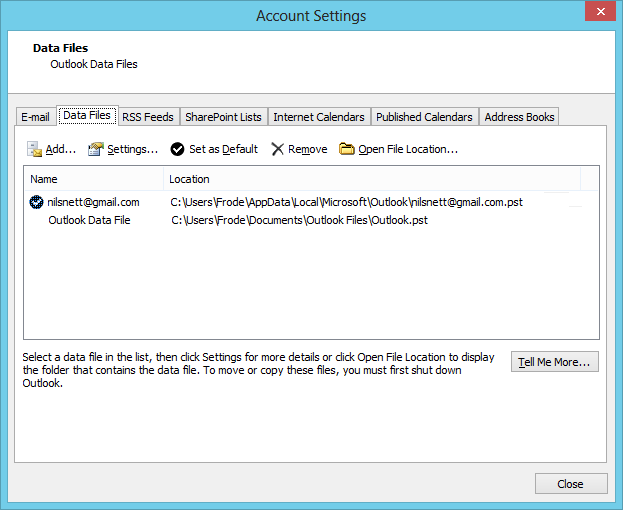 In this case you must set up a local "account" manually, or actually a Data File. 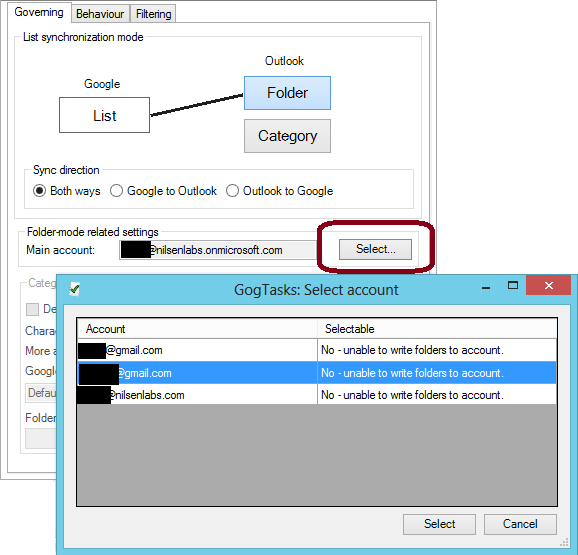 GogTasks uses this to store a copy of your Google Tasks and folders. 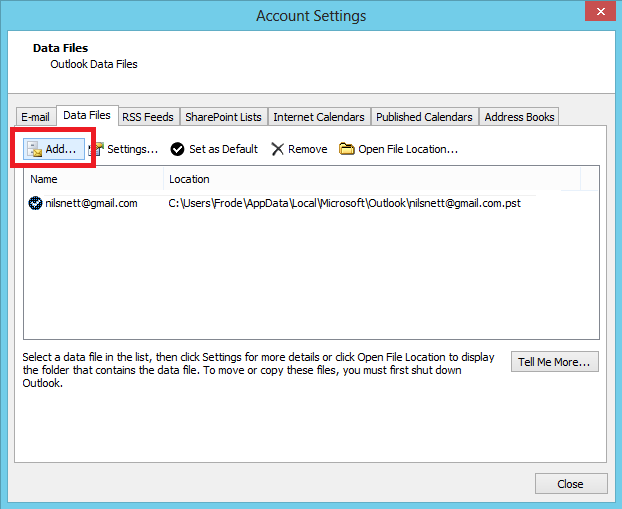 To set up a new Data File go to the File menu, and select Account Settings. Proceed to add a new data file under the Data Files tab.